The 1940s was one of the most momentous decades in modern world history, seeing the transition from disastrous international conflict to peace, with the establishment of the United Nations, as well as an emergence from post-war austerity to a promise of greater prosperity at the same time that the Cold War was a looming threat. It also saw many changes in the music landscape as swing and bug bands became uneconomic and solo singers - the crooners and divas of what came to be known as the golden age of popular music - became the big stars of the day. 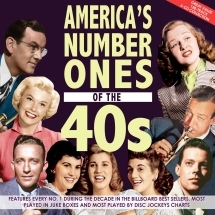 The Billboard record sales chart was launched in July 1940, bringing a new authenticity to the tabulation of the biggest-selling records, and this great value 128-track 6-CD collection comprises every No. 1 during the decade in the Billboard Best Sellers, Most Played In Juke Boxes and Most Played By Disc Jockeys charts. For collectors, it provides a companion product to Acrobat's existing "America's No. 1s of The '50s" (ACFCD7501). 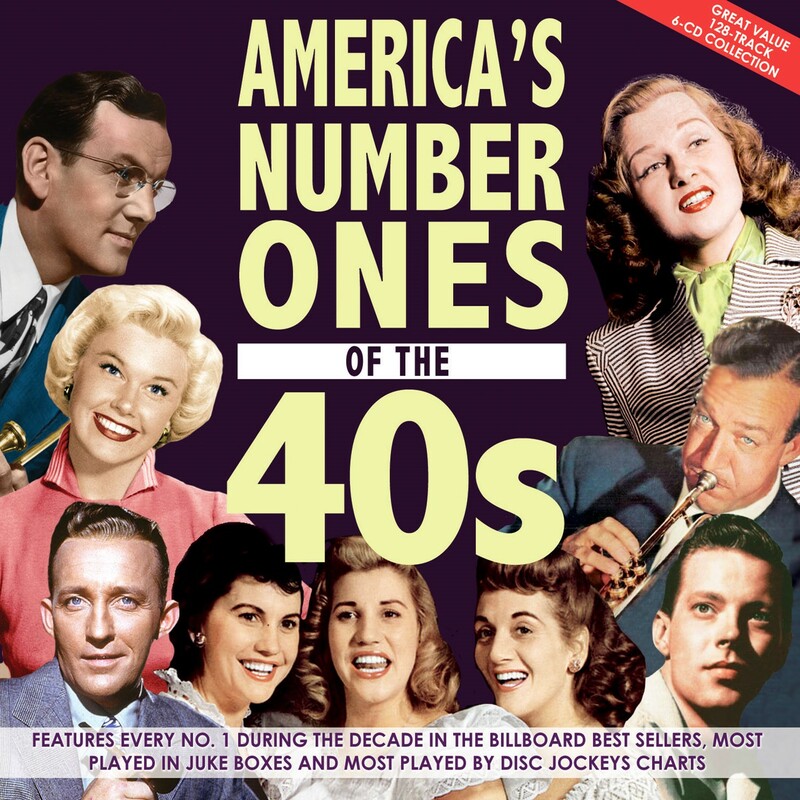 It's a fascinating and hugely entertaining musical journey though those years, featuring all the big names of the era, from those whose careers stalled before the end of the decade to others, like Frank Sinatra, who enjoyed several more decades of stardom. It comes with a 48-page 15,000 word booklet with commentary on every track.